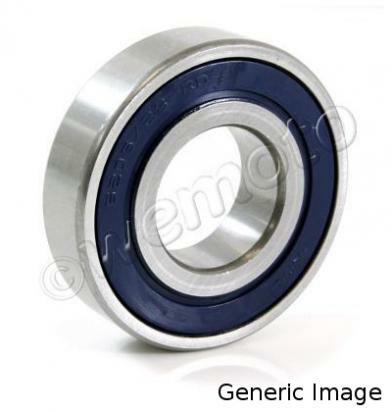 The picture below shows a Rear Wheel Bearing Right. Thousands of other top quality spares listed on our website at refreshingly low prices. High strength AISI 52100 chrome steel in all inner rings, outer rings, and rolling elements, heat-treated to 60-65 HRC. Manufactured to ABEC 1 dimensional tolerances. Every bearing is electronically tested for noise and vibration according to ANSI/AFBMA Standard 13-1987. Quality control system complies with the international standard ISO 9002, 2000 and its technical equivalent, ANSI/ASQC Q9002:2000.